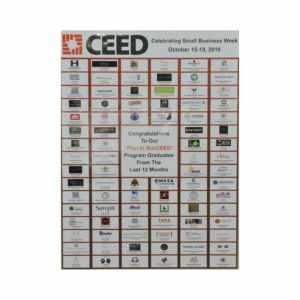 With Small Business Week 2018 upon us, we wanted to share with you what CEED has planned. As a kick off to the week, CEED mounted a wall display next to our entrance showcasing our 88 Plan To SucCEED Program graduates from the last 12 months. The 40 week program assists aspiring entrepreneurs with a business idea, turn their vision into reality. CEED’s training, financing, coaching and advising is available to any and all looking to start or grow a business. If you’re thinking about starting your own venture, this could be the program for you! Each day, from Sunday October 14th to Saturday October 20th, we will be featuring one of our CEEDlings across our social media platforms. Keep an eye out to see which businesses we will be highlighting! This is a chance to get a glimpse of a CEEDling and their busines, hear about how CEED assisted them, and discover an important tidbit each business owner wants you to know about being your own boss! Ryan Robicheau and Alissa Comeau will be representing CEED at the Halifax Chamber of Commerce’s Exploring Entrepreneurship: Networking Tradeshow being held at the Halifax Marriott Harbourfront on Monday October 15th from 2:00pm – 4:00pm. A panel of business owners from all different stages of business will talk about their lessons learned, ups and downs and offer expert advice. One of the panelists is Colin Duggan of Tidal Salt, a recent graduate of CEED’s Plan To SucCEED program. 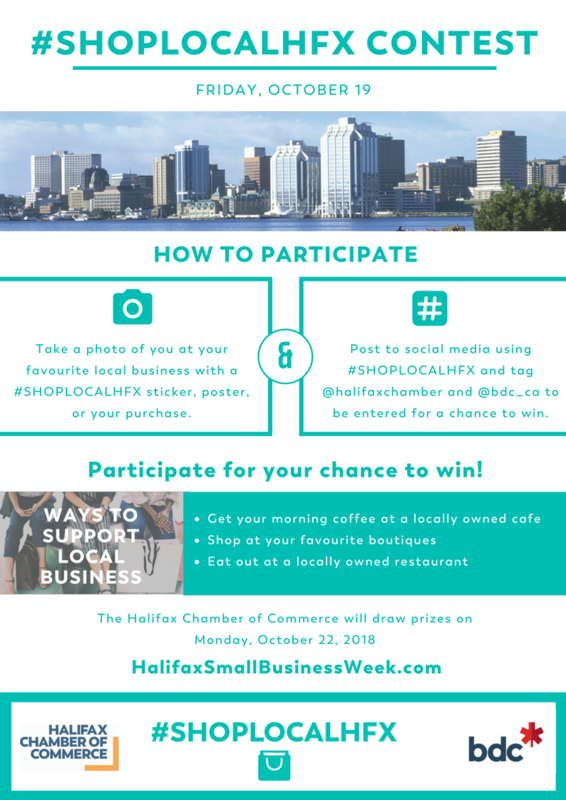 This is a great opportunity to network with lots of members of Halifax’s business community and it’s free to attend. Please stop by and say hello, we’d love to see you! On Thursday, October 18th, Ryan Robicheau will help you kick start your business ideas with CEED. He will be hosting our Start Smart Workshop for free at the Tantallon Library form 6:30pm – 8:00pm. The workshop will explore local resources, introduce CEED’s programs and services including: loans, training and the Plan To SucCEED Program (which includes the Self Employment Benefits (SEB) option). Learn the basics of business planning while gaining the tools and resources you need to make your business idea a reality. Also on Thursday, October 18th, our CEO Craig MacMullin, will be presenting the Best Effort To Improve The Cape Breton Regional Municipality award at the Sydney & Area Chamber of Commerce’s 2018 Excellence in Business Awards being held at the Membertou Trade & Convention Centre in Sydney, NS. 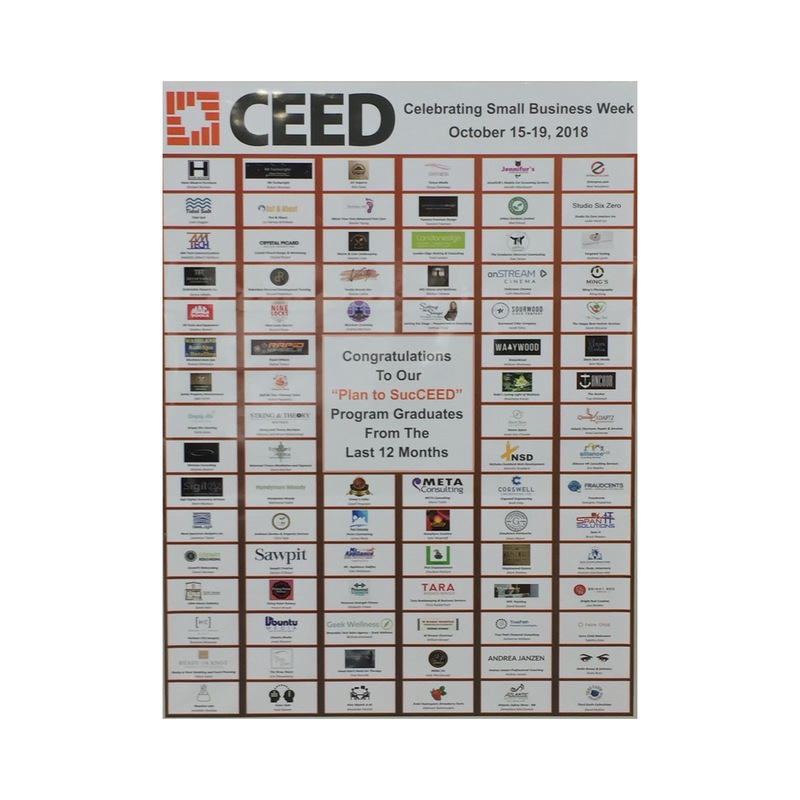 CEED prides itself on supporting entrepreneurship and small business across all of Nova Scotia and beyond! For other events happening over small business week, click here!